Greenwood Furnace was established in 1921…Well actually 1918. 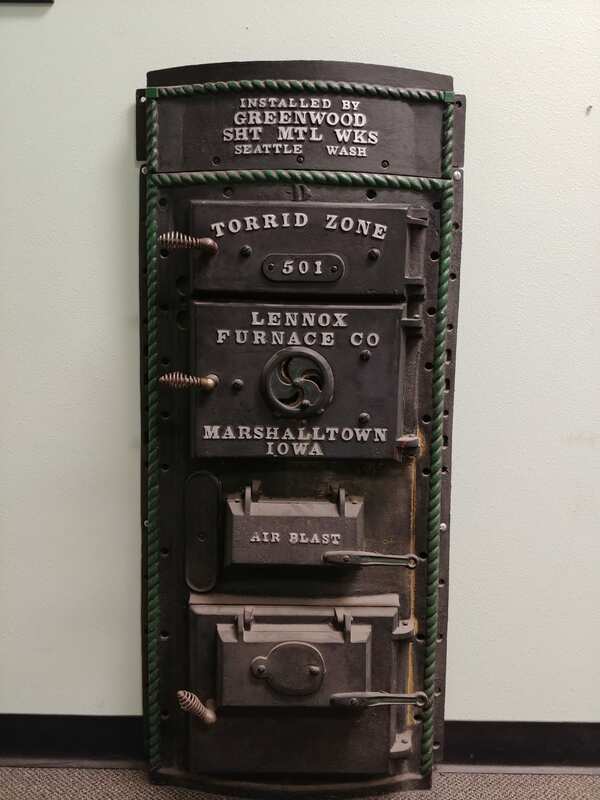 Walter Zainey started the Greenwood Furnace Co. in the Greenwood neighborhood of Seattle in 1918 and quickly built a reputation for providing quality products and services. For years we believed Greenwood began in 1921 but only recently, May of 2017, Walter’s granddaughter shared a newspaper ad from 1968 showing that Greenwood was actually founded in 1918! When your company goes back 100 years you are bound to have mixed messages about the history but we now have an accurate founding date and founder. Thank you to the Zainey family and especially Jacklyn for taking the time to share the story with us. I am sure Walter Zainey would be proud the heritage he created is still living on. For years Greenwood operated as a small neighborhood company until 1990 when Pat Martin purchased the company. 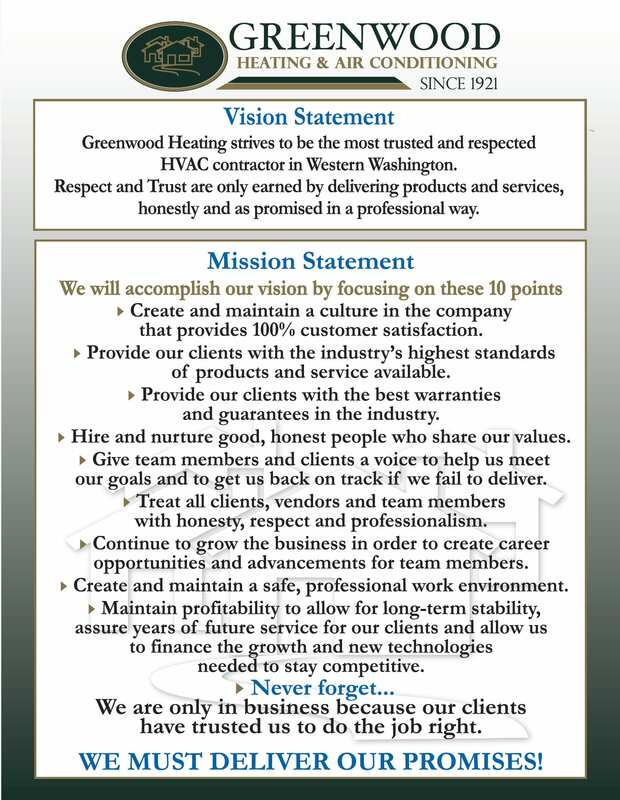 Over the next 7 years, Greenwood Heating and Air Conditioning become the 46th fastest growing company in Washington. They moved to Kirkland to expand the high quality service that Seattle had been enjoying for years to the Eastside. In 1999 Ms. Martin sold Greenwood Heating to Service Experts. Service Experts is a national chain of service companies with over 200 locations and controlled by Lennox International. In December of 2004 Greenwood changed hands again but this time going back to its Puget Sound roots of being owned by a local Seattle resident. Michael Porter, a lifelong Seattle native, has worked in the HVAC industry since 1985. 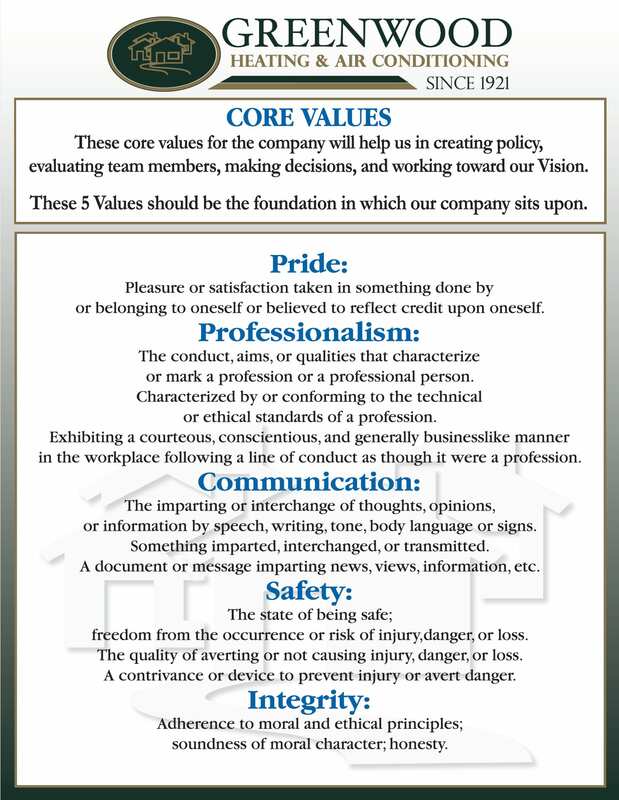 He is committed to complete customer satisfaction and has a mission to be ‘The Most Trusted and Respected HVAC Company’ in the Puget Sound area. Working to become the Puget Sound’s best heating contractor he knows he can only reach this goal by providing the Highest Quality Air Conditioning and Heating products and services and then backing it up with the industries best warranties and guarantees. We are proud to be a Trane Comfort Specialist, Lennox Premier Dealer as well as a Mitsubishi Diamond Dealer. Today we have nearly 100 dedicated professionals with the single mission of 100% Customer Satisfaction. If you are interested in being part of our team, please do not hesitate to reach out to us via our Employment Page.